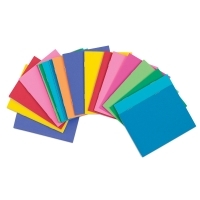 Ideal for art, creative writing, or journaling, these paperback books have tagboard covers and blank pages of white bond paper. Available with covers in bright colors or white. They come in packs of 20. 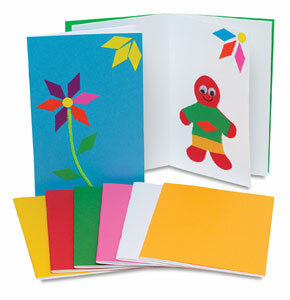 Books are available with white covers or assorted Rainbow Brights colored covers. Each book is 5½" × 8½" (14 cm x 22 cm) with 32 blank pages. They come in packs of 20. ™ Hygloss is a trademark.™ Rainbow Brights is a trademark.